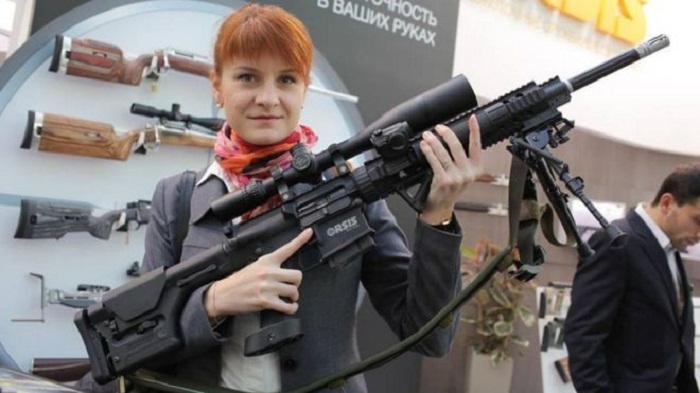 Maria Butina's ties with Russian intelligence make her a "grave" flight risk, US officials say, and she should not be bailed before trial. Butina, who was arrested on Sunday, is scheduled to appear on Wednesday afternoon at a US court in Washington DC. On Wednesday, Moscow's foreign ministry said Butina's arrest was designed to undermine the "positive results" of a summit between US President Donald Trump and Russian President Vladimir Putin in Helsinki on Monday. Court filings on Wednesday say Butina was living with an unnamed 56-year-old American - identified in documents as US Person 1 - with whom she had a "personal relationship". In some of her photos on social media, Butina is seen with Paul Erickson, a South Dakota-based conservative political activist who is listed in public records as being 56 years old. She had "expressed disdain for continuing to cohabitate with" the American man, according to documents seized by the FBI. Butina's lawyer has denied all the allegations. The Department of Justice alleges that Butina worked "under the direction and control" of a senior Russian official who is not named in charging documents. "Right now everything has to be quiet and careful," Butina allegedly wrote to her contact through a private Twitter message, a month before the 2016 presidential election. At one point during the presidential election, she and the Russian official allegedly tried unsuccessfully to broker a meeting between Trump and Putin. Butina's Facebook page includes pictures of her attending events where she met other well-known American politicians, including Wisconsin Governor Scott Walker. Those who encountered Butina said she was a gregarious networker whose life story appealed to conservatives she met at events around the US. Butina posted several photos to her social media accounts over the past few years showing her with Torshin. On her visa application, Butina said she had previously been employed as special assistant to Torshin. Sources tell US media that the fact that Torshin was not charged is a sign investigators are working to secure her co-operation against him and possibly other Russian officials.